One of the UK's leading driving schools has announced that it has teamed up with young driver insurer Ingenie to offer more affordable insurance for 17-25 year olds. Any driver who passes with Red (and is aged between 17 and 25 years ld), will be offered an 'out of sight' black box, which collects data on how the car is being driven. The box assesses individual driving styles and driver feedback is available via the ingenie mobile app and online. Key areas of driving are assessed including speed, cornering, braking and acceleration. The policy is then reviewed every three months and the best drivers could receive a discount of up to 10 per cent on their insurance in the first year so, if they drive well, they pay less. I find many useful things herewith. It is really amazing for us. Where ever we are, just click on the website and Take advantages .Your article impressed me very heartily. From a last decade I was searching such type of web site. 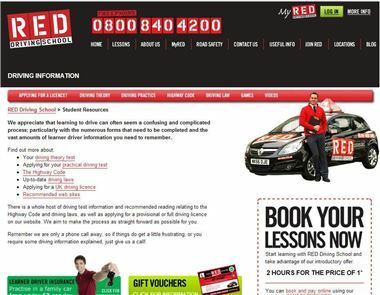 I have heard many a times about the Red driving school, It is one of the top or you can say the major one, more than 100,000 drivers are made within one year that's Nice.